An industrialist, philanthropist and liberal and revolutionary thinker, Andrew Carnegie played a major role in the enormous expansion of the steel industry in America. 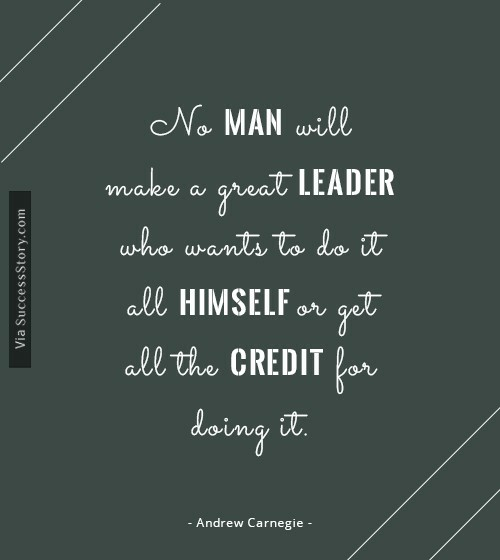 Andrew Carnegie was also an avid reader who strongly believed that in order for a person to be a great leader he should not attempt to do it all himself and take all the credit for the work done. Andrew’s adages pushed his followers to display their talents abilities to the maximum.